ESP end controls are value-oriented options for the installation of 2:1 to 5:1 systems. Designed for strength and durability, controls feature axle bearing sheaves with sideload ball bearings. Use E2750HB double-sheave end controls for cabintop travelers with cars using 3:1 or 4:1 purchases. 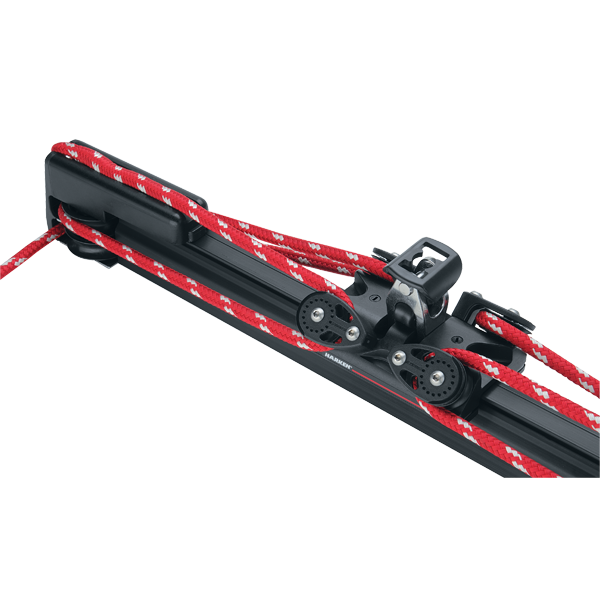 Contact Harken® to order special length track with mounting holes for E2750HB end controls.